If you are male or a husband, you got to know that women or your wife have a lot of loads put up to them by nature. Menstruation, pregnancy, motherhood and menopause. The last one is the big change and would apt to be called a “horror” episode of a woman’s life at age 50 and above. The famous hot flashes and night sweats would be present anytime of the day. Not to mention the vaginal dryness, loss of sexual libido, memory loss and even mood swings. There is a hormone replacement therapy that can benefit the women who have these bouts of “horrible experience” during there menopausal period. Doctors will tell you that you only have two options in dealing with it. Take the hormone replacements or just endure the symptoms. That’s why a few women knew that there are alternative ways to deal with this naturally occurring period in the women’s life. By taking vitamin E supplement, hot flashes may be controlled or eliminated. And the best way tot take it is by dividing the dose (1,000IU) in four or five doses a day. That would be 200IU per take. If you have night sweats, take one dose before bed and another during the night if you wake up. If you have started feeling well, gradually start reducing the dosage until you reach the minimum 400IU daily. 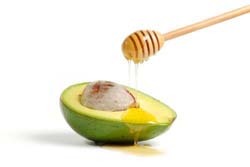 To add the “E” in your diet, include avocado, flaxseed and wheat germ in your daily food intake. And make sure you have a daily supplement of the Vitamin-B Complex to help reduce stress while dealing with menopausal symptoms. 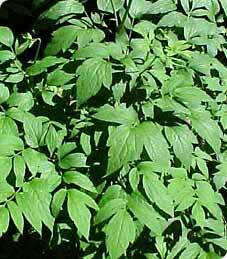 A few women knew that there are herbs that could actually help in correcting hormonal imbalance. The black cohosh herb attaches to the estrogen receptor sites in the body, helping to correct the hormone imbalances and helps reduce hot flashes and night sweats. There are available tinctures and tea preparations in health shops. ‘Sweat more to Sweat Less”. Well, according to a study, the night sweats occur because the body is trying to eliminate the toxins that is normally expelled during menstruation. And during menopause, the body is trying to find another means to expel it, thus the night sweats. To help relieve the symptoms, it has been found that going to the sauna or steam bath could actually help relieve the symptoms. It’s important to have that emotional support, specially during this time big change. Believe me, men are not only looking at women’s face, they also would want to touch their tresses. I know girls want to have gorgeous and long healthy hair no matter what the color and texture may be. It’s so nice to touch a smooth and silky wave of locks attached to a pretty face of course. Sometimes girls also suffer the same dry, barren and lifeless hair but it would not be so obvious as we go to the barbers every two weeks. Split ends are not always an issue of its own. From my previous write ups, I have mentioned the ill effects of shampoo that causes the hair and scalp to get dry. Dandruff might be the end result of these chemical loaded shampoos and dry hair with splits ends will be sure to come along. Before this happens, try to load up with moisture in your hair the natural way. If you are fond of eating moisture and protein rich fruits, try to save a little for your hair. One example would be avocado. This delicious fruit is packed with protein and moisturizers. Using avocado can help moisture your hair. 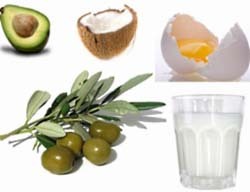 It can enhance the delivery of these essential nutrients to the shaft of the hair. 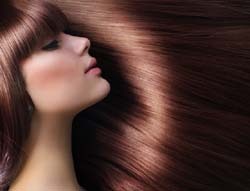 Poor protein in hair makes it brittle and lack of moisture makes it dry. 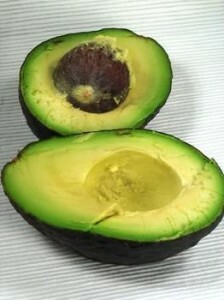 Here’s what you do, mince a small ripe avocado with a teaspoon of jojoba oil and wheat germ oil. Massage it on your scalp with small circular motion making sure to include mid shaft up to ends to help absorb the moisture and protein. Cover with towel for 30 minutes then rinse of with an organic mild shampoo. Comb your hair gently. Repeat this procedure twice a week. A friend also uses the power of gelatin mixed with apple cider and 2 drops of jasmine oil. Do the same procedure as with the avocado mixture above. But let it stand on your covered hair up to 5 to 10 minutes. Rinse off and comb hair gently. For optimum moisturizing, load yourself up with lots of fluid and avoid too much sunlight. Exercise well for good circulation and as much as possible, avoid too much blow drying and perming. It could really damage your fragile hair. Try to avoid parched locks and splitting ends.